One of my favorite things to do when stamping is to make my own patterned paper. 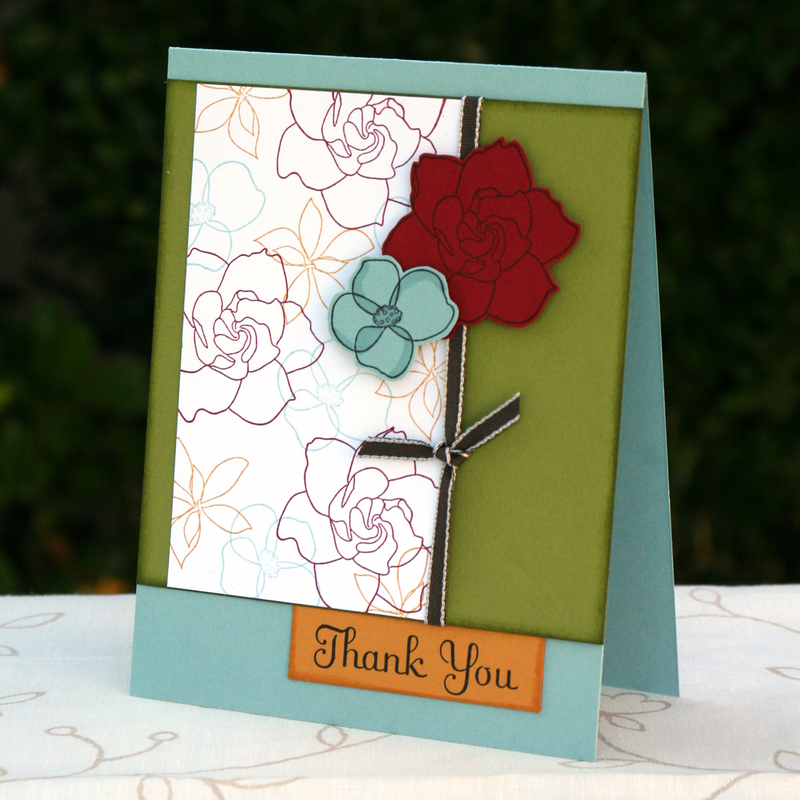 On this card I used the different flower images from the Growing Green stamp set to create a fun background. The colors were inspired by Stampin’ Up’s new Color Coach. The colors are Baja Breeze, Cherry Cobbler, More Mustard and Old Olive. I love how it turned out.